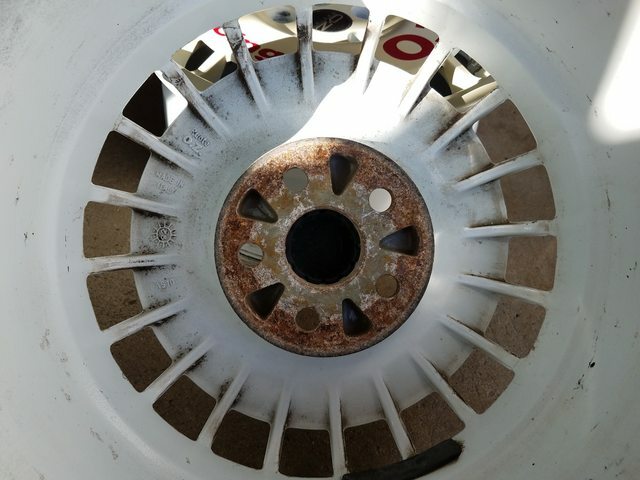 Forums » Your Tech Tips » Wheel fitment troubles - bolt pattern feels just "off"
I don't post much but I have an issue I feel this is the best forum to address it in. 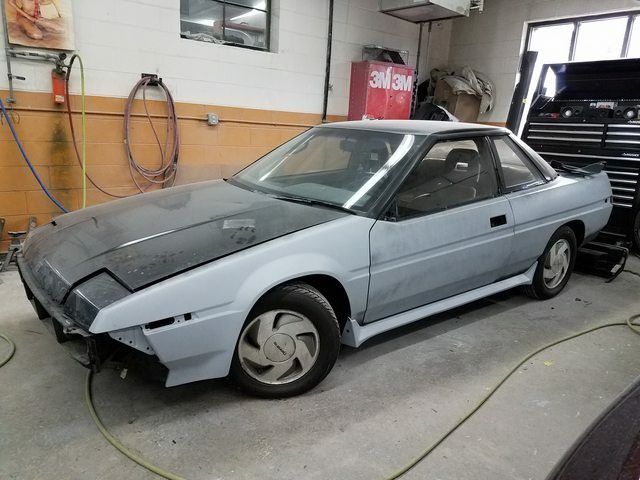 I own an oddball - a 1988 Subaru XT6 - that I've been struggling to find wheels for. The bolt pattern is 5x100, and factory offset is right around 48. 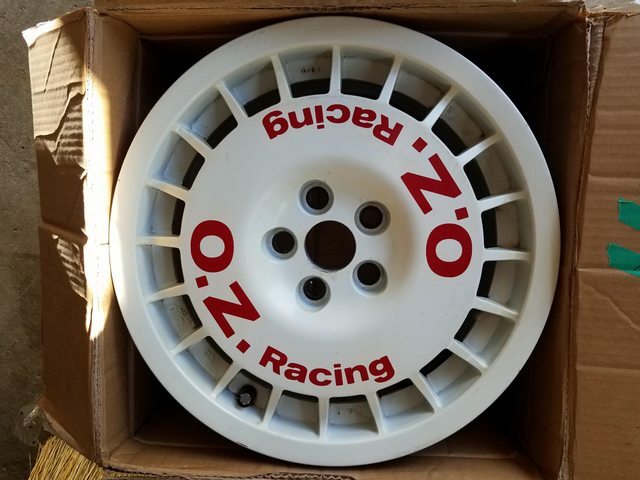 I tracked down a set of rare OZ Rally Route wheels that seemed to be right in the thick of where I wanted to be size-wise - 5x100, 15x7, ET +40. Unfortunately, my shop just called to say that wheels "fit too snug against the studs" (in addition to the studs not being long enough, which I half-expected). In other words, they were not comfortable with how tight the wheel was against the mounting studs. Now, I haven't seen the car yet, but this is the second set of wheels and tires I'm trying to get to work on this blasted car. Is there any reason why the fitment would feel ever-so-slightly off? Note: the wheel does mount to the car, but they said it was disconcerting enough in terms of how tight it was against the studs that they didn't want to proceed with re-painting them. Complete noob question, but is this something some centering rings would address or do I have bigger issues at the moment? If the studs are not centered in the bolt holes, I would think they are NOT the correct bolt pattern. If the studs have been replaced, it's possible they're just a little bit cockeyed in the hub. I've seen this fairly often. Usually they self-center when you torque everything up so it's only a problem on the first installation or two. A couple of side whacks with a dead blow hammer will expedite the process. Is it possible the wheels are actually 5x4", but they just labeled them as 5x100 and called it "close enough"? I have literally never thought of that being an issue (now or with any wheels I've bought from parts vendors) - I'll admit, I'm not sure what to think. Is that common? Is it something that can be addressed by opening up the bolt holes? Measure the bolt circle on the car. Measure the bolt circle on the wheels. Alternatively, do you know anyone with a newer Subaru? There are a billion 5x100 45-55 offset Subaru wheels around. You can try one of them on your car just to verify the pattern. 5 on 4 (or 101.6 if you prefer) was mostly (entirely?) used on small 60s-70s Mopar stuff, an OZ wheel in that pattern seems unlikely. You can't just egg out the holes unless they're flat seat truly hubcentric wheels. If the Suabru uses fairly small studs, maybe a 5x108 wheel could be forced on like they're describing? Hey guys. I will know more tomorrow when I actually lay eyes on the fitment, but my gut is telling me the following: these wheels were a popular fitment for Toyotas in the 90s, which share the 5x100 pattern. However, the centerbore is smaller than Subarus. I'm just speculating, but perhaps I will need to look into running a 5mm spacer, extended studs and hubcentric rings to make these work. There's still a chance the importer I worked with got the wheel specs wrong, but I doubt it. Thanks for the insights thus far. Center bores can be made bigger if that's the thing. It is the center bore. Too small. At this point, I'm going to wash my hands of these things. I don't think there's enough "meat" on the wheels to bore them out further. How big is the difference in the wheel center diameter and the center bore? Looking at the back of those wheels online, they appear to have plenty of meat for a mild bore size increase. In a moment of clarity, I called a friend of mine who owns a shop and asked if he ever used someone for wheel boring. Turns out he had, and I gave them a call. They didn't seem too phased by it so I might at least get a second opinion. My guess is these wheels are 54.1 and the Subaru is 56.1. Here are some photos. It's a simple job for any machine shop worth visiting (Bridgeport and a boring head, maybe 2 hours to all 4), and there's plenty of "meat" there to take a whole 2mm out of the bore. Well then. That makes me feel better. Maybe this will work out after all. It's damn near impossible to find a 15x7 wheel in an offet of 40-50 with a 5x100 bolt pattern. I was psyched this wheel was pretty much spot-on AND period correct, so it killed me to possibly have to sell them off. Oh, you need to keep those wheels. Think of it this way, you're only expanding that hole by 0.040" on each side. Thanks for the positive words, guys. I, too, think these wheels will work after some minor machining. I mean, they're perfect for this thing, right?? Yes - open the holes up and run em! Those wheels are awesome, so I'd probably do it the "right" way. But you can totally open up that hole with a dremel at home if you feel like it. Picking up the wheels today. They were indeed 54.1, a common Toyota size, and will now be 56.1, the hub bore for Subarus (even old ones, like mine.) Will update once painted and mounted. I've done the enlarge center bore thing. VW's are 57.1. Good to know a machinist that can do this kind of thing on the side. xflowgolf wrote: I've done the enlarge center bore thing. VW's are 57.1. Good to know a machinist that can do this kind of thing on the side. Yup, and mine got $300 bones for the privilege! Worth it for those wheels, excellent fit for the car! Need more wheel pics as well as your plans for my favorite door wedge Scooby.